Bitter and I had a surprise appearance on Cam & Company. Surprise to us, because we went there to say hi to Cam and ended up doing two segments on the show in studio. I think I did pretty well! Despite the fact that I can’t shut up here, I am not a talkative guy in real life, so having to be the social butterfly at these things is not a natural act for me. At least until 9:00PM tomorrow, you can catch us on the rerun at nranews.com. Just click through the introductions, and a link to the last show will appear. Let me tell you, it’s thrilling to be on Cam’s show. But it’s even more thrilling to have people sending talk backs for me on his show. For you readers who have sent me stories, I will get to them. It’s tough to blog with the NRA committee schedule, and catching up with people I know. A lot of NRA people are reading gun blogs now, and they know who we are. 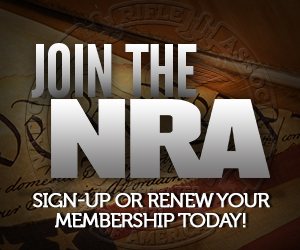 It’s quite a difference from a year ago, when NRA was just touching their toes into the bloggy waters. Now they are in for the swim. I watch Cam & Company every night on the streaming web cast, and I was every bit as surprised to see you and Bitter on there myself. You two looked and sounded just fine on there, so I’d have to agree with you on how you did. I tried to give you a heads-up about a recent news story about gang members and stolen guns in the Philly burbs news through the Cam & Company talk backs, but I’m not sure if anybody with Cam’s show told you about this yet. Good work, you guys sounded good! Watched it and was very proud of you both! Great job! Just watched the archived show. Nice job guys.